On January 1,2016, a new Illinois law was passed to require what is necessary if a rescue, shelter or veterinary clinic holds a stray animal. We also confirmed this information with Dr. Mark Ernst, State Veterinarian. The law is Animal Welfare Section (225 ILCS 605/3.6) of the Illinois State Statutes. Sec. 3.6. Acceptance of stray dogs and cats. (a) No animal shelter may accept a stray dog or cat unless the animal is reported by the shelter to the animal control or law enforcement of the county in which the animal is found by the next business day. An animal shelter may accept animals from: (1) the owner of the animal where the owner signs a relinquishment form which states he or she is the owner of the animal; (2) an animal shelter licensed under this Act; or (3) an out-of-state animal control facility, rescue group, or animal shelter that is duly licensed in their state or is a not-for-profit organization. (b) When stray dogs and cats are accepted by an animal shelter, they must be scanned for the presence of a microchip and examined for other currently-acceptable methods of identification, including, but not limited to, identification tags, tattoos, and rabies license tags. The examination for identification shall be done within 24 hours after the intake of each dog or cat. The animal shelter shall notify the owner and transfer any dog with an identified owner to the animal control or law enforcement agency in the jurisdiction in which it was found or the local animal control agency for redemption. “Animal shelter” means a facility operated, owned, or maintained by a duly incorporated humane society, animal welfare society, or other non-profit organization for the purpose of providing for and promoting the welfare, protection, and humane treatment of animals. “Animal shelter” also means any veterinary hospital or clinic operated by a veterinarian or veterinarians licensed under the Veterinary Medicine and Surgery Practice Act of 2004 which operates for the above mentioned purpose in addition to its customary purposes. While we understand the reasoning for this law, it still creates a maze of holding facilities for an owner to find his/her lost dog. For example: If I lost my dog in Chicago. I would first check City of Chicago Animal Care and Control to see if my dog has been taken there but then I find out my dog could have been taken Animal Welfare League (there are two of them), Animal Care League, Paws Chicago, even some rescues,vet clinics and police dept. hold dogs. Our solution is to use Helping Lost Pets, a centralized database that Lost Dogs Illinois partners with. www.HelpingLostPets.com/ORG . We recommend having a common login account that all of your staff share, allowing any of your staff to access private contact information for pet owners. This entry was posted in Animal Control/Stray holding facilities, Rescues and Shelters and tagged rescues, shelters, state law, vet clinics on January 16, 2018 by Susan. On April 29, 2015 Lost Dogs Illinois wrote a plea to our LDI Fans to support House Bill 4029, which would support more reunions of lost dogs with their families. We are happy to report that the Bill 4029 has passed. This bill requires shelters and rescues (the same as animal control facilities) to scan intake animals for a microchip multiple times before releasing the animal. It also includes veterinary clinics and hospitals that provide this same service to do the same. The bill also requires that if the first person listed on the microchip cannot be contacted, the shelter must notify the second contact if one is listed. Also, shelters must notify the owner when they are identified and transfer dogs with identified owners to a local animal control or law enforcement agency for the animal to be reclaimed. 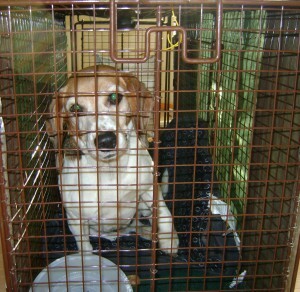 If they cannot transfer the animal, they must hold the animal for at least 7 days prior to removing the animal. Thank you to Senator Thomas Cullerton, the key sponsor of the bill. This entry was posted in Animal Control/Stray holding facilities and tagged House Bill 4029, ID tags, microchip, rescues, Stray holding facilties, Veternarians on August 27, 2015 by Susan. Your team of volunteers has worked hard at flyering and posting signs and now you’re getting some sightings! This article will cover what we have found to be the best method for handling these. The point person should keep a sighting journal. It is hard to remember all of the details from a phone call. Something that may seem insignificant at first may become very significant as time goes on. So most importantly, get the name and phone number of the caller, so that you can call back with any extra questions! Ask the right questions and make detailed notes. 1. Where did you see the dog? Ask them to please be specific. For example: the dog was going north on Ash street toward the Bay City Mall. On the other side of the street was Walmart. 2. When did you see the dog? What was the weather like? Again, ask for specifics. Example: The dog was seen at 10 a.m. on Monday, August 5th. It was raining at the time. 3. Can you describe the dog? Was he wearing a collar? What color was the collar? Did he seem okay? 4. What was he doing? Was he trotting, running, darting in and out of traffic, sleeping, playing with other dogs, walking calmly, etc? 5. How was he carrying his body and tail? Was he low to the ground, almost crawling? Was his tail up or down or waggin? Record all of these details in your journal and then post the sightings to a map. You can use an old-fashioned paper map or you can use an interactive google or Mapquest map that you can share with your volunteers. We recommend that you NEVER share this or any sighting information with the public. The number one cause of death of lost dogs is that they panic and run into traffic and are killed by a car. When you post sighting locations – you are encouraging reward seekers, wanna be heroes, and overzealous people from rushing to the location and frightening the dog. Remember, the whole goal now is to let the scared lost dog settle in the area. Then you can implement a plan to catch him (trapping, luring, etc.). But if you are constantly pressuring the dog, he will keep moving, and you will always be behind him. You will have to keep flyering more and more areas and this will be draining on your volunteers. Remember that most of your volunteers have full time jobs, and their own families and dogs to look after. You will need to respect their time and maximize their efforts. Make sure that your volunteers understand that the goal is to allow the dog to settle in an area. They must change their mindset from “searching” to “luring”. You wouldn’t try to chase and catch a feral cat. You start feeding a cat in one location and then you trap them. You will use this same approach for a scared, missing dog. Don’t slam the car door! Stay calm – the dog will feel your nervous energy and may take off again. He could be in hiding watching you. The person who is most bonded with the dog should sit or lie down by themselves and scatter tasty treats around themselves and WAIT. It may take minutes or hours for the dog to creep slowly towards them. The dog may circle around and approach from behind. Put your phone on silent and don’t talk on it. Everybody else should leave the area. Don’t waste time driving around. Immediately go door to door and flyer – speaking with everyone. Call in more volunteers to help with this. If no one is home – leave a flyer that you have handwritten on: SEEN! 4 p.m. May 31 at the edge of your property or corner of this block or across from the Walgreens. Be specific so the home owner knows to keep a look out. Make sure your flyers clearly state the nobody should call or chase the dog. Just call with sightings. Leave food and water! Anything except dry kibble (which doesn’t have an odor). Again, think smelly, scrumptious food. 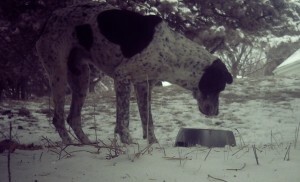 If you have a trail camera set it up facing the food so that you can see if the dog is approaching and eating when you aren’t there. . If you don’t have a trail camera, sprinkle fireplace ashes or cornstarch around the bowls so that you can examine the area for tracks when you return. He will start to let down his guard. He will start to trust people and return to a domesticated state of mind. Your chances of safely capturing him are greatly increased. Don’t be too quick to dismiss a sighting. Most sightings are legitimate. People describe dogs differently so don’t dismiss a sighting because the description does not match exactly. Remember, that the public may not know dog breeds or sizes like you do. They may call an American Eskimo Dog a Samoyed. Or a shepherd mix a husky. Assume that every sighting is legitimate, unless absolutely proven otherwise, and mark it on the map. Dogs can travel great distances very fast, especially if they have been pursued. They may be using shortcuts that you aren’t aware of. Don’t assume that a sighting is too far away to be your dog. You will be able to use your map to give you clues to your dog’s paths and patterns. Next, we will discuss common pitfalls and mistakes that are often made when a rescue is searching for one of their foster or newly adopted dogs. We will try to give you some advice to avoid these pitfalls. 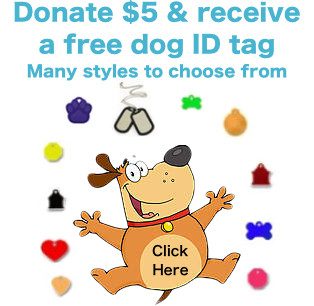 This entry was posted in Friendly Lost Dog Strategies, Rescues and Shelters, Shy Lost Dog Strategies and tagged feeding stations, lost dogs, rescues, shelters, shy and timid dogs, shy dogs, sightings, smelly treats on January 18, 2013 by Susan. Two Illinois based rescues joined together to facilitate Ellie, shy foster dog, return. 30 days later Ellie was trapped. Effectively coordinating your volunteers in the search for a lost dog is what we call “harnessing the energy”. When everybody is on the same team and pulling in the same direction, great things can happen. When the efforts are scattered and fragmented, volunteers will get frustrated and the search can end badly. This article will focus on the steps to help your rescue or shelter’s volunteers work effectively as a team to generate sightings of the missing dog. First and foremost – please make sure that you have done the Five Things to Do If You Have Lost Your Dog. Putting scent items and food at the spot where the dog went missing from will help keep him in the area – even if he is unfamiliar with the location. 1. Assign one “point person”. Preferably this is the person that is most bonded with the lost dog (the owner or foster parent) and with the biggest emotional committment to the process. The point person must be a responsible individual with the time required to be able to answer EVERY phone call and go to every sighting location. The point person must be dedicated to the process for the days, weeks or months that it might require to successfully catch the dog. 2. Use a phone number on the flyer that will be answered promptly. Do not use a shelter phone number that won’t be answered during closed hours. Do not use an automated voice system or answering service. Many people who see your dog won’t call again. They will try ONCE. If you miss the opportunity to speak with them, you may never get another chance and you might miss valuable information about your dog’s location. Do not rely on texting. Callers need to hear your voice and your emotional commitment to the dog. This will encourage them to keep helping you. 3. Change the message on your phone to include a message about the missing dog. If the caller reaches an ordinary voice message, he may hang up and not try again. The caller must know they’ve reached the correct number to report a sighting. 4. Do NOT offer a reward for the missing dog. In our experience, this is almost always a bad idea. Rewards encourage people to chase the dog, possibly into oncoming traffic. A dog that is being pursued for a reward will not settle and will become more and more elusive and possibly move out of the area altogether. Then you will have to start all over in a new location. You want sightings of the dog so that you can implement a plan to catch him safely. Rewards are counterproductive to this effort because you will not be able to pay a reward for each sighting. 5. In the early hours of the dog going missing; rescue volunteers may panic and want to rush to a sighting location to “search”. This is almost always a bad idea. Their energy should be used for quickly flyering the area – going door to door and trying to speak to as many people as possible and leaving a flyer in their hands. Searching for a shy lost dog will chase the dog out of the area and possibly into the path of traffic. Or the dog may go into hiding, reducing sightings and prolonging the search. Your goal is to let the shy lost dog settle, without the pressure of being pursued. You will have a much greater chance of catching him. 6. The point person should be organized and ready to distribute maps and flyers to the volunteers. Use a Rubbermaid tub in a central location to store flyers, maps and supplies. Then anyone with some time to spare can do some flyering without duplicating efforts. 7. Don’t congregate noisily in an area to flyer. Don’t slam car doors. The dog may be hidden somewhere nearby watching you. Too much activity may frighten him into leaving the area. Flyer in groups of two for safety, but be quiet and calm. 8. Pace your volunteers. Make sure they understand that this could take weeks or months. Volunteers will be needed to flyer after every sighting, to make and move signs, to update Craigslist, radio, and newspaper ads and to keep notifying vet clinics, shelters, etc. 9. Try to keep everyone “in the loop” so they feel useful and engaged. Consider using a closed Facebook group for the volunteers to keep everyone informed. Stay positive. Negativity won’t help and will probably prolong the search. Don’t waste any time in assigning blame for how or why the dog went missing. This does nothing to help find the dog and will decrease the morale of the team. Next, we’ll focus on the best way to respond when you get your sighting calls. This entry was posted in Feeding Station, Friendly Lost Dog Strategies, Rescues and Shelters, Shy Lost Dog Strategies and tagged flyers, rescues, search, shelters, sightings, smelly treats, volunteers on January 9, 2013 by Susan. 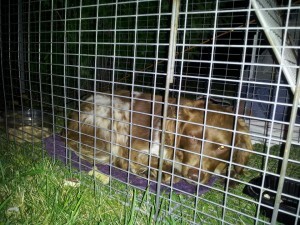 “Finn, a shy lost dog, was successfully captured by a team of volunteers from NBRAN and other concerned area citizens. This team has now gone on to help capture other lost dogs in the area.”. There are more lost dogs now than there have ever been. Pet ownership is up and we, as a nation, are saving more dogs, with many more people choosing adoption as their option. This is a great thing but it comes with its challenges. For many people, this is their first experience owning a shy, rescued dog. These dogs are often high flight risks and can quickly escape through a door or wiggle out of an ill-fitting collar, harness or slip lead. When you take all of this into consideration it is very apparent that it is in the best interest of everyone to make sure your team of volunteers knows the most efficient and productive way to conduct a lost dog search. Your rescue or shelter does have a team, don’t they? A well-trained team that can quickly mobilize when a dog goes missing will save your rescue time, money and possibly the dog’s life. 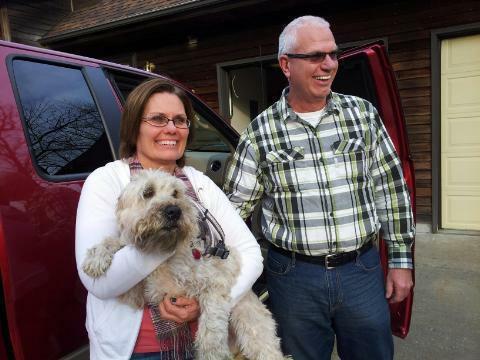 Since their inception, Lost Dogs Illinois and Lost Dogs of Wisconsin have helped reunited over 20,000 dogs. Most of these were found safely, some ended in heartbreak. Many of these were from rescues, shelters, transports, or were in foster homes or newly adopted homes. We would like to share with you what we have learned in this next series of articles. 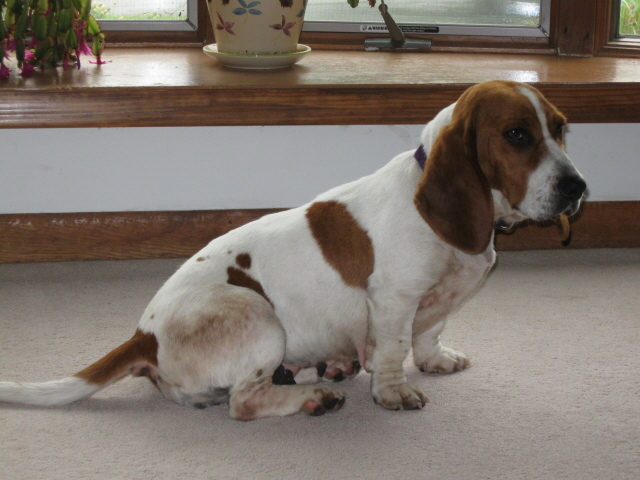 Lindsey, former puppy mill dog, escaped from a fiery crash. Family was injured and from out of town. Midwest BREW’s Find Snoopy team trapped Lindsey. 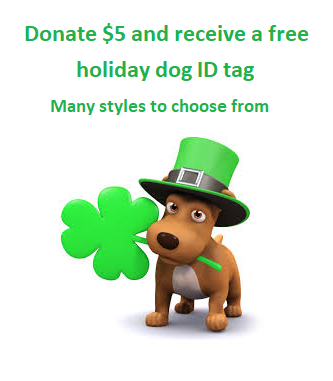 This entry was posted in Rescues and Shelters and tagged flyers, lost dogs, rescues on January 2, 2013 by Susan.